I was ecstatic when I received this surprise lipstick from +Cynthy Chui . 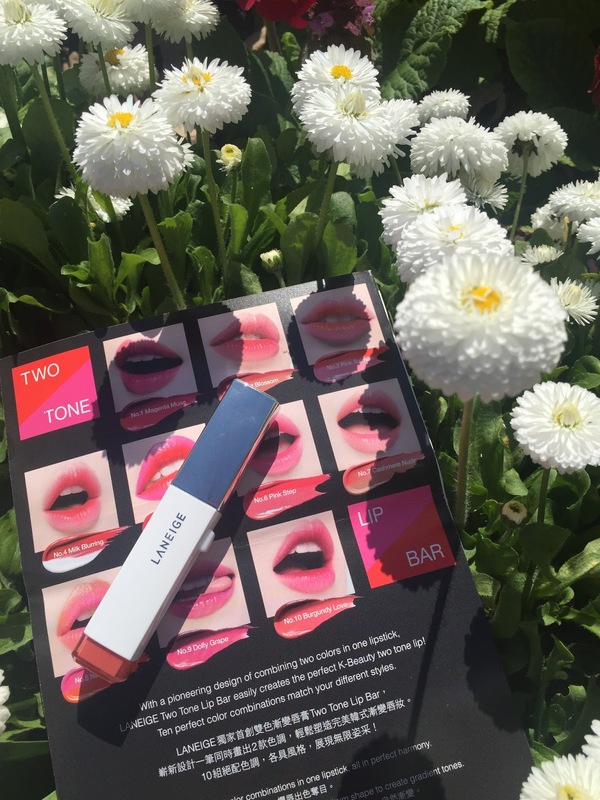 How could a lipstick reinvent itself and be exciting? The Koreans seem to have endless creativity in recent years. 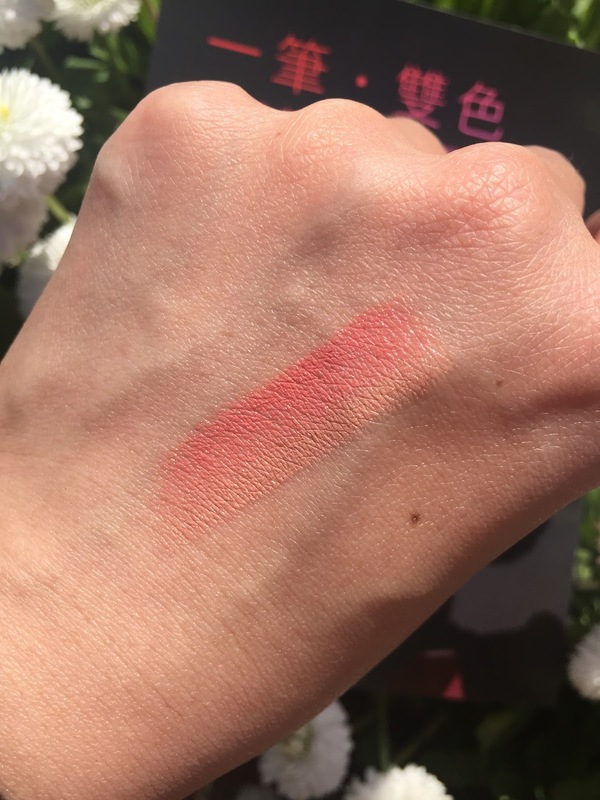 The latest lip trend is what the Korean called “petal lips” – using two colours to create a gradient effect, lips look more 3D and have the “just bitten” attractiveness to them. But instead of putting on two lipsticks one after another, any other easier way to achieve this effect? The latest renovation is Laneige’s Two Tone Lip Bar. 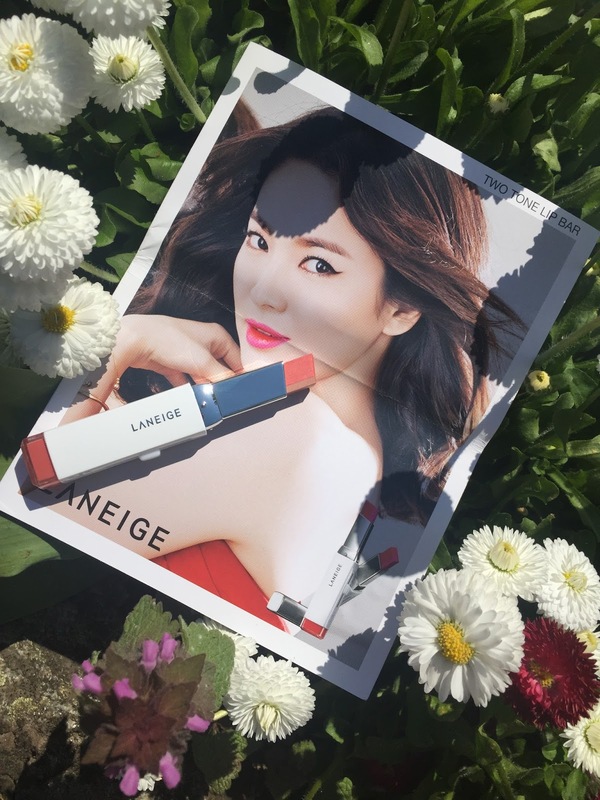 Laneige has cleverly created this two-tone lipstick – one swipe will give the gradient lip effect instantly! The packaging is sleek and chic. The rectangular tube gives my eyes a new shape to look at. The tube has a slider to extend the product out rather than the traditional twisting motion. 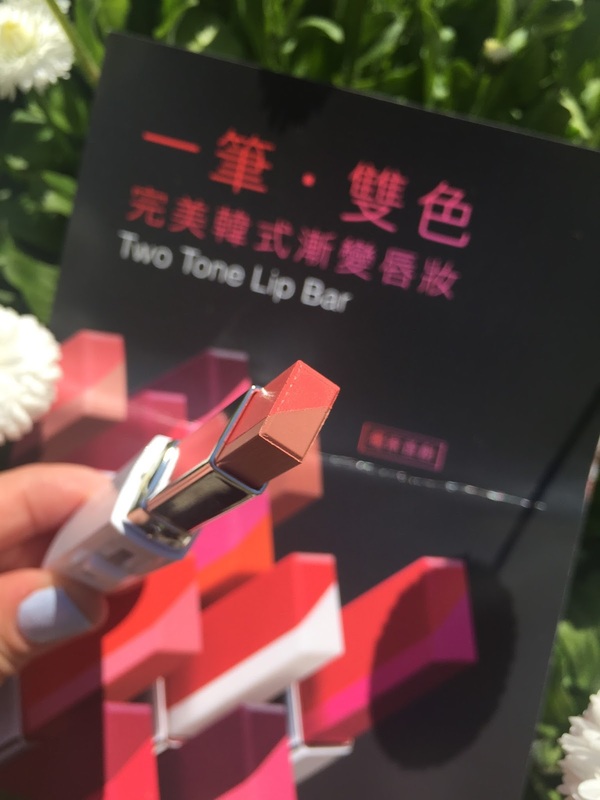 The lipstick inside is rectangle too! The colours are diagonally divided. One sweep will give the outer and the inner parts of the lips different colours. The idea sounds perfect but I found the application bit awkward. Because the colours of the inner and outer parts need to be matched for upper and lower lips, and the top of the lipstick is slanted, it is inevitably that the lipstick has to be held in an angle against the slant in order for the colours to be at the right place. (It is very difficult to explain in words. Take any lipstick that you have, imagine the duo-colour on the bullet and try to apply it, you should then see what I meant). Perhaps a flat top rather than a slanted top could solve the awkwardness of the application. Another thing is after applying a lipstick, we would normally rub our lips together to even out the colour. For this duo-colour lipstick you cannot do that, otherwise the colours will get messed up. Perhaps the lip rubbing motion is just a habit, I feel unnatural for not doing it. The texture of the lipstick is creamy and moisturising, it is quite comfortable to wear. However, because of the colour is “milky and creamy” (perhaps it’s just the colours that I chose), the milkiness accentuates the lines on my lip – not great at all. Lips need a good exfoliate before wearing this lipstick. Overall, I think the idea is innovative and is the new way forward. However, the execution is yet to be improved.